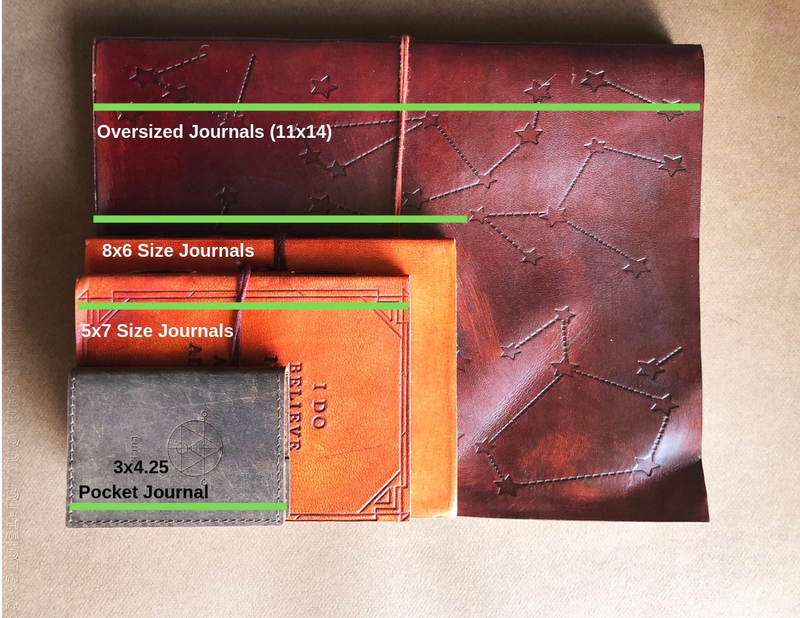 We wanted to provide a bit more clarity around the different notebook sizes that we have available. These are 3-inch x 4.25-inch (7.62-cm x 10.8cm) size journals. The pocket journals are designed in refillable styles and come with 50 pages inserts. The inserts can be purchased separately. This size is ideal for ever day carry. It is roughly the same size as a standard men’s wallet. These are 5-inch x 7-inch (12.7-cm x 17.78-cm) size journals that come with either 75 or 100 pages of paper. A little smaller than the standard notebooks you will find in the market, but ideal for those on the go. A select selection of these come in refillable style journals. 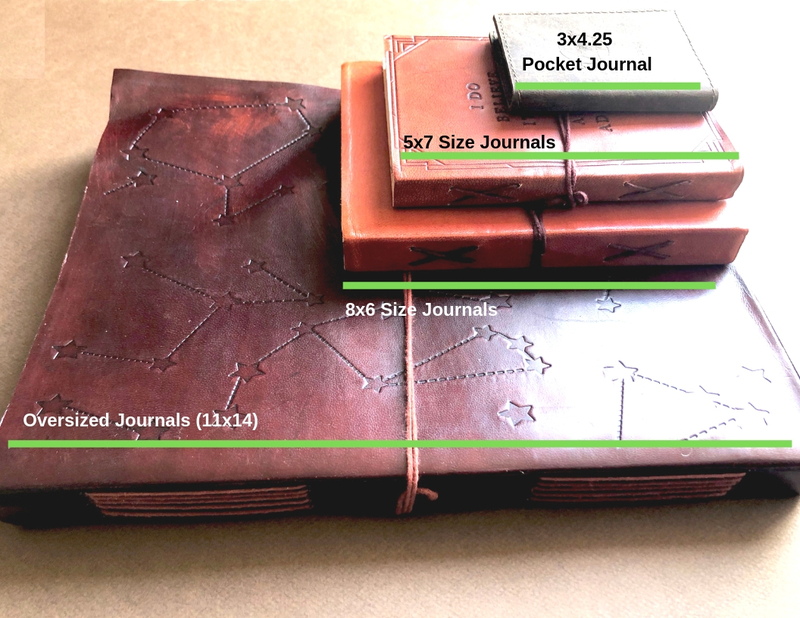 These are 8-inch x 6-inch (20.32-cm x 15.24-cm) size journals. A tad bigger than our standard quotes journal, this size is ideal for those using the journal for note taking purposes. 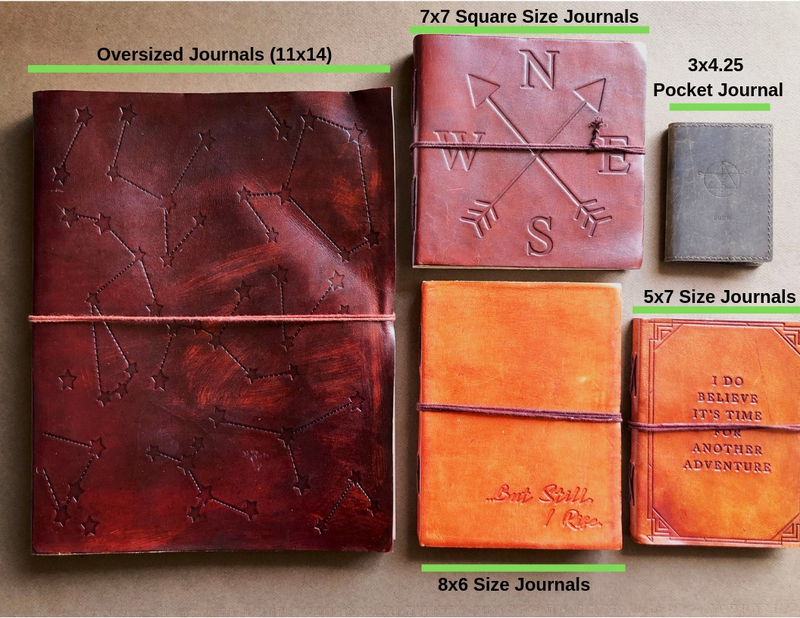 These are 7-inch x 7-inch (17.78-cm x 17.78-cm) size journals. A perfect square; this journal is can be used for many purposes from urban sketching to guest books. These are 11-inch x 14-inch (27.94-cm x 35.56-cm) size journals. These extra-large journals are ideal for creativity. Need more information about our products? Send us a note at info@soothi.com.